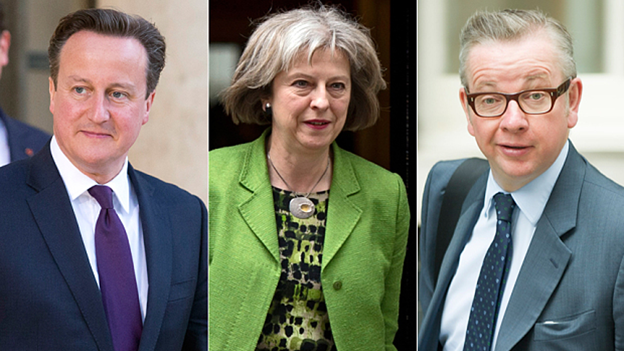 David Cameron has ruled out withdrawing from the European Convention on Human Rights despite objections from Michael Gove, the Justice Secretary, and Theresa May, the Home Secretary. In the first major cabinet split since the election, Mr Gove and Mrs May believe that pulling out of the convention entirely may be the "only solution" to re-establishing the supremacy of British courts over Strasbourg judges. The Conservatives last year threatened to pull out of the convention to help free Britain from the edicts of Strasbourg judges, which have seen serious criminals use the human rights laws to avoid deportation. However, Mr Cameron has now dropped the plans in preference for a "halfway house" which will see Britain remain a signatory to the convention but scrap the human rights act, which incorporates the convention into British law. The difference of opinion between Mr Cameron and two of his most senior cabinet ministers highlights the extent of the tensions within the Conservative Party over the issue. It comes after the Mr Cameron delayed plans to scrap the Human Rights Act and replace it with a British Bill of Rights for at least a year in the Queen's speech, following criticism from senior Tories. The Government will instead announce a consultation, which is unlikely to begin until September. There are concerns that a rebellion by Tory backbenchers could lead to a government defeat in the Commons. British court rulings and laws. it seems to have taken a back seat for now. A senior government source told The Telegraph: "Withdrawal is not going to happen. Michael Gove and Theresa May think it's the only solution but David Cameron's clear this is off the table. "The British bill of rights could mitigate the worst excesses of the human rights act but it won't change the fundamentals." In October last year Chris Grayling, the then Justice Secretary, published a Tory policy document aimed at reducing "mission creep" by the European Court of Human Rights, the body which enforces the convention. It said that the rulings would no longer be binding on UK courts, and proposed withdrawing from the European convention on human rights if a looser relationship could not be renegotiated. The proposals were endorsed at the time by Mr Cameron and Theresa May, the Home Secretary. However, the proposal to leave the European Convention on Human Rights if reform could not be achieved was not in the Conservative manifesto. 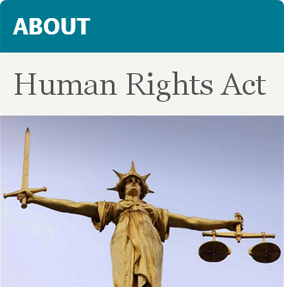 The manifesto contained a less specific pledge to "make our own Supreme Court the ultimate arbiter of human rights matters in the UK", alongside a commitment to scrapping the human rights act and replacing it with a British Bill of Rights. A Downing Street spokesman said: "The Government's policy is as set out in the manifesto, and that is shared by Theresa May, the Prime Minister and indeed the whole cabinet." Spokesmen for Mr Gove and Mrs May declined to comment. It came after Nick Timothy, a former special adviser to Mrs May, said in an article for The Sunday Telegraph that Britain should withdraw from the convention. He said that failure to do so would mean British judges still followed European rulings even if the human rights act was scrapped. The issue has divided the party. Philip Davies, a senior Tory MP: "It is very disappointing. The European Court of Human Rights is full of pseudo judges, most of whom are political appointees. "The convention has become a charter for illegal immigrants to avoid deportation and for criminals to pursue vexatious claims. I have no idea why we would want to stay part of that." However Dominic Grieve, the former Attorney General who was sacked before the election after defending the court and the convention, said: "If they have decided to do that I greatly welcome it. If we withdraw lock, stock and barrel from the convention it would have a knock-on consequence for our EU membership. "The European Court of Justice would step in and try to enforce the convention. The convention, although people complain about it and it's far from perfect, is the best and most effective device for improving human rights on our planet." The European Convention on Human Rights has been invoked by dozens of serious criminals fighting deportation, who argue that provisions such as the "right to family life" mean they are entitled to stay in the UK. 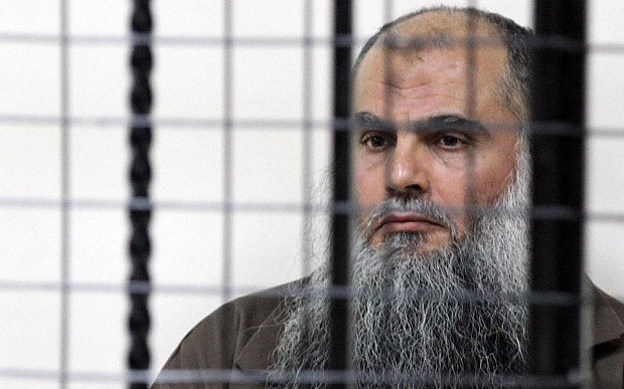 During the last Parliament Mrs May succeeded in sending the radical Islamist cleric Abu Qatada back to Jordan after more than a decade of legal battles after accusing the Strasbourg Court of repeatedly "moving the goalposts".